Secret treasure chests in Sekiro are hidden treasure chests that contain valuable loot, such as Prayer Beads, Gourd Seeds, and more. 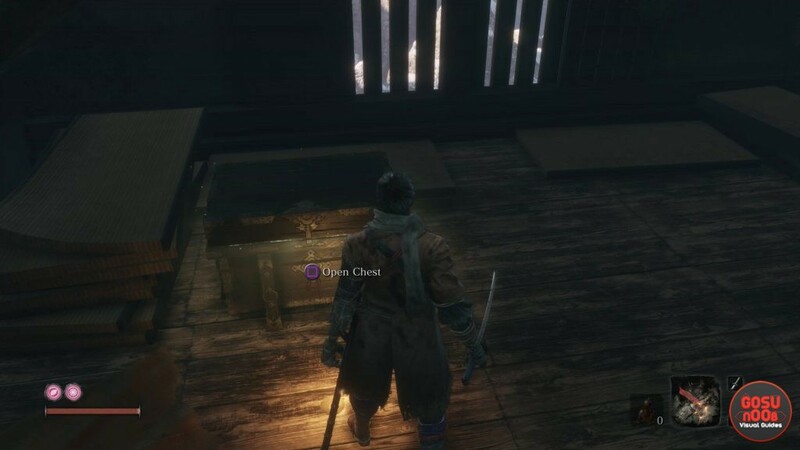 We call them secret treasure chests, because Sekiro chests are all really well-hidden in hard-to-reach places. Naturally, since they contain important loot, you’ll want to suss them out at almost all costs. That being the case, here’s our Sekiro Chest Locations – Secret Treasure Chests with Important Loot guide to show you where to find these chests and the valuables that hides within. NOTE: This guide is a work in progress. We’ll be adding more Sekiro treasure chest locations as we discover them. Where to Find Secret Treasure Chests in Sekiro Ashina Outskirts? To find secret treasure chest locations in Sekiro, you’re going to have to search the game very thoroughly. More often than not, they’ll be hidden away in hard-to-find places. Which, considering they drop some pretty vital loot, only makes sense. The first Sekiro treasure chest we’ve found was in Ashina Castle, right after killing the first “real” boss, Gyoubu Oniwa. Find the NPC called Tengu of Ashina (you’ll know him by the red kabuki mask with a long nose that he wears). Climb up the steps next to him. Walk around the platform to the left until you spot a grappling hook spot to the left and above. Use it to get further up. Walk across the beams until you find a broken one jutting out perpendicular to you. Walk onto the broken rafter, and look across and above. There, you’ll find another grappling point, so use it to climb further. From your new vantage point, walk to the central beam, and climb onto the broken one, where the small candle is. You’ll now be in the roof of the tower, and the chest will be basically right in front of you. In this chest, you’re going to find a Prayer Bead. For more info on their other locations and how to use them, check out our Sekiro Prayer Bead Locations guide. Another chest can be found near the Ashina Reservoir Sculptor’s Idol. From the idol, go to the gateway and grapple to the top. Then, jump and grapple to the left, towards the large house. Go inside, and you’ll find the secret chest holding the Gyoubu’s Broken Horn Prosthetic Tool. To open this place, you’ll need the Guardhouse Key, which you get by killing a guard on the bridge near the Ashina Castle idol. From the NPC sitting on the bridge, use the grappling hook to cross the chasm, and you’ll find the place. From the Ashina Castle idol, head up the long staircase, and look to the right and up. Use the first grappling point to get to the roof. Head left onto the next rooftop, then turn right and jump and grapple onto the next rooftop. Make your way onto the tower with the purple banners. Turn left, and use the grappling hook to reach the huge, wide roof. Run down the length of the roof until you see a bell-shaped window above you. Grapple inside, and you’ll find the chest with a Gourd Seed inside, as well as the Upper Tower – Antechamber Sculptor’s Idol. From the previously described Upper Town – Antechamber idol, head up the stairs and to the right. Make your way through the small room, and then into the huge, open room. Just, don’t forget to deal with the enemies. Stealth is highly encouraged. Head into the large room to the right, and dispatch the enemies there. Hug the wall where the painting between the two sets of armor to enter another secret chamber. You’ll come across a chest right there, and a Prayer Bead will be inside. Go back into the huge room with the bridge in the center that you’ve visited previously, and look under the bridge. You’ll notice a beam that you can grapple onto, so do just that. There is a couple of enemies way below you that you’ll have to kill. We took care of all but one by pelting them with shuriken, and just did a dive attack on the lone survivor. Once they’re all dead, go into the next room, with the fancy armor on the left. The chest with the Sabimaru Prosthetic Tool is right in front of you. For more on Prosthetic Tool locations, check out our Sekiro Prosthetic Tools Locations guide. The first chest we’ve found in the Hirata Estate is near the Hirata Audience Chamber Idol. From the Idol, head back through the house until you’re almost at the entrance / exit. The way opposite of the covered hallway next to the idol, I mean. When you’re almost at the exit (you’ll see a dude in just his jimmies holding a torch outside), enter sneak mode so they don’t notice you, and head right. Go down this hallway until you find a dead end with a painting. Approach the wall and hug it to reveal a secret room. There’s a ton of goodies inside, including a secret chest behind a screen, with a Prayer Bead in it. These pictures could be better. Why not videos or gifs, that would be much more helpful.